According to different operating modes, our capsule filling machine is divided into the three types of manual capsule filling machine, semi automatic capsule filling machine and automatic capsule filling machine. All of the three types of machines run stably with high efficiency and low noise. 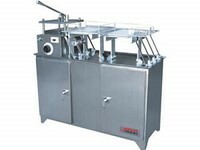 The capsule filling machine with higher degree of automation enables the operator to complete the work in an easier way, but power consumption and the overall size of the machine will increase. Jiangnan Enterprise is an experienced capsule filling machine manufacturer and supplier in China. We provide various types of products such as automatic medicine packaging production line, blister packing machine, tablet coating machine, and dryer. 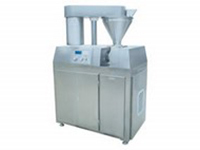 Dry Compact GranulatorThe dry compact granulator makes powder directly into granules by using crystal water in the materials. There is no need of water, ethanol or other wetting agents, avoiding instability of produced granules. With simplified process (wetting, pressing and drying), the work efficiency is high. 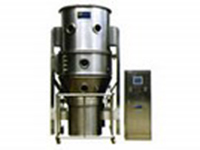 This granulator was ranked as National Key New Product by National Ministry of Science and Technology in 2005. 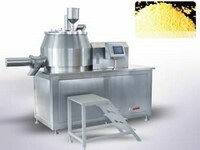 Oscillating GranulatorThe oscillating granulator can make wet powder or block dry materials into granules. 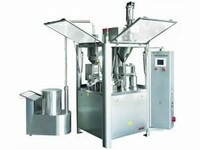 The 360-degree rotor movement enables the wet powder to be extruded from the screen into granules. Block materials collide and crush inside the roller and are forced to pass through the screen to become granules. 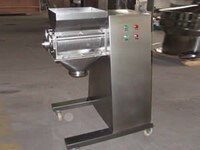 This oscillating granulator is widely used in pharmacy, chemical, food and other industries. Fluidized Bed Dryer GranulatorThe fluidized bed dryer granulator can complete mixing, granulating and drying. It is widely used in a variety of industries for drying, granulating and coating. It is used to dry wet powder or granule materials and it can produce tablet granules, electuary granules and capsule granules in the pharmaceutical industry. 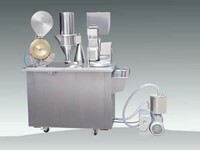 This equipment is also used for the granulation of coffee, milk powder, juice, flavoring and so on in food industry.